L-R; Chris Williams (2), John Lane, Noel Lane. An Alarm were formed out The Rusty Bottles. Noel was friends with Chris Williams (1) and had always had an interest in forming bands and gigging but had never really took it seriously. Noel and Chris both played guitar and did their first gig together on November the 8th 1977 while they were still at school. Noel and his brother John Lane were the founders of The Rusty Bottles. I have no idea where the name came from! The band was formed in the early months of 1978 and practiced at the B&B Noel & John’s family owned at Morrab Road, Penzance. 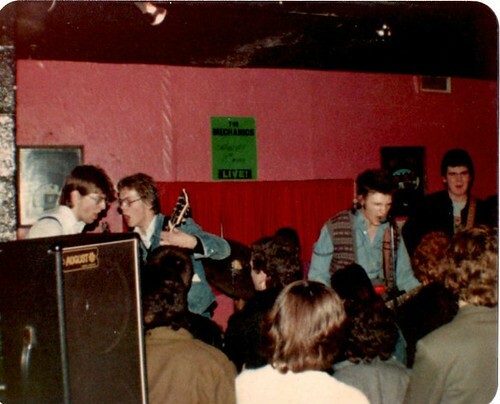 The original band members of The Rusty Bottles were: Noel Lane (Guitar), John Lane (Drums), Kevin Barnes (Vocals), Sean Morris (Guitar) & Kevin’s friend , I think he was called Jonathan (Bass). Kevin was the son of well known local Penzance entertainer Ricky Barnes (of Ricky & The Layabouts). He wanted Jonathan to be in the band with him too however Jonathan couldn’t play an instrument or sing. Noel attempted to teach him bass but he couldn’t grasp it. They then approached Chris Williams (1) but he had formed a band of his own, I can’t remember what they were called. I was going to school at the time with Sean Morris and John Lane, Noel was a year older than us. Sean and myself both played various sports for the school and were quite good friends. My father is Dave Bailey of Drift. We were both interested in the punk/new wave movement and he asked if I was interested in joining the band. I couldn’t play an instrument either but with help from my father and lots of practice managed to learn the basics. After only a couple of months of practicing Sentinel Recording Studios were booked to record a demo tape. Chris Williams (1) played bass on this as I hadn’t been playing very long and didn’t feel confident. After listening to the demo tape it was decided that Kevin didn’t have the ‘sound’ Noel and John were looking for, I think Kevin also knew this so he left very shortly afterwards. 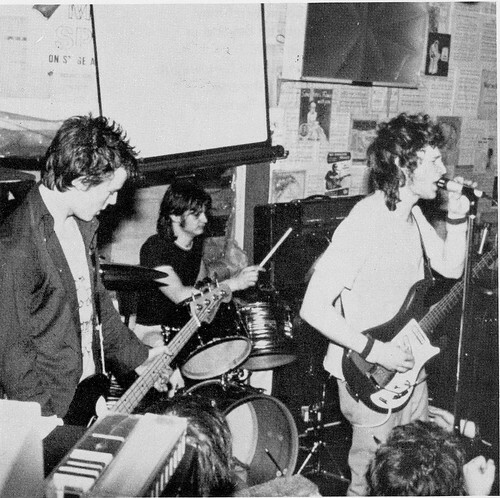 The original band members of An Alarm were: Noel Lane (Guitar/ Vocals), John Lane (Drums), Sean Morris (Guitar/ Backing Vocals), Paul Bailey (Bass). Noel wrote most of the songs and music, we practiced at The Lanes B&B or in Sean’s House. We started to get quite a good following of fans and would usually perform unpaid at house parties or private functions. These additional members were only needed on certain songs. Alison was John’s girlfriends sister, Helen is Sean’s sister and Graham was a friend. They all followed the band were happy to take part. 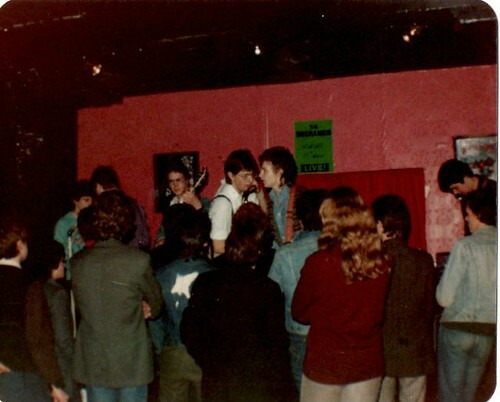 The first paid performance for An Alarm was at Gulval Mead, March 9th 1979. L-R: Alison Mills, Helen Morris, Graham Bolitho, Sean Morris, Noel Lane, Paul Bailey. L-R: Sean Morris, Graham Bolitho, Noel Lane, Paul Bailey. An Alarm went on to play there several times along with other venues supporting several groups including The Brainiac 5, The Vendettas and Motorhead. Late in 1979 An Alarm returned to Sentinel Recording Studios to record the ‘Welcome To Penzance’ tape which came in a printed envelope containing tape, lyrics and a An Alarm medal for buying it! Towards the end of 1980 I felt the band had started to stagnate and some of the songs/ideas that Noel was introducing I disagreed with. I made it quite clear to Noel that I was unhappy with the direction the band was going. Local band The Panik had just split and their bassist, Chris Williams (2) who was also friends with John was looking for another band. He was invited to practice with An Alarm so I felt this was my cue to depart. I lost contact with all the members of the band after this and moved to live in Staffordshire in early 1981 after being made redundant from work. I still visited my father in Cornwall and on one of visits met up with Sean. We have stayed in touch ever since. From what I can gather, after this An Alarm stayed together for less than a year. Noel moved to Huddersfield with his girlfriend, then Bristol. He went on to form a band again with Chris Williams (1) called Chorchazade. They released an album called ‘Made to be Devoured’. John and Sean as far as I know didn’t play in another band and neither did I. The Bandwagon Song can be listened to on Chorchazade’s Myspace site along with some of Chorchazade’s tracks https://myspace.com/chorchazade/music/songs - This was written by Noel and recorded at Sentinel Studios by An Alarm in 1979.